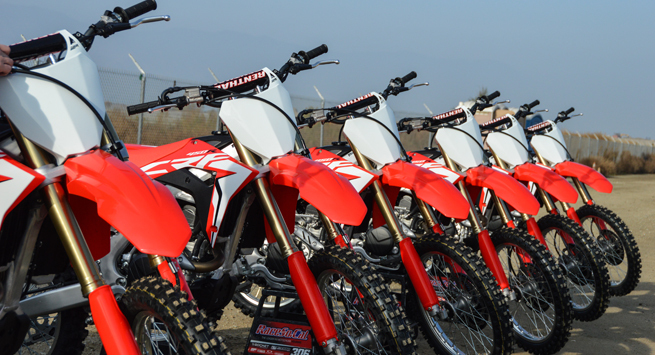 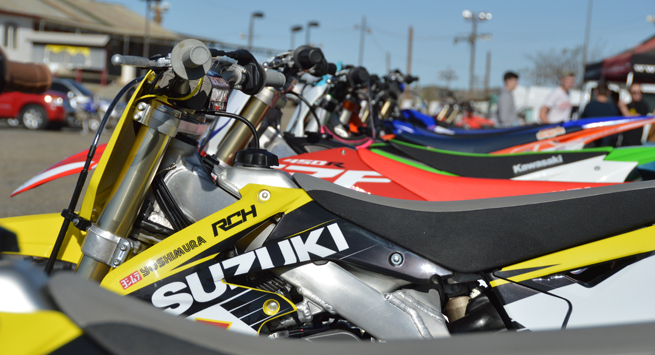 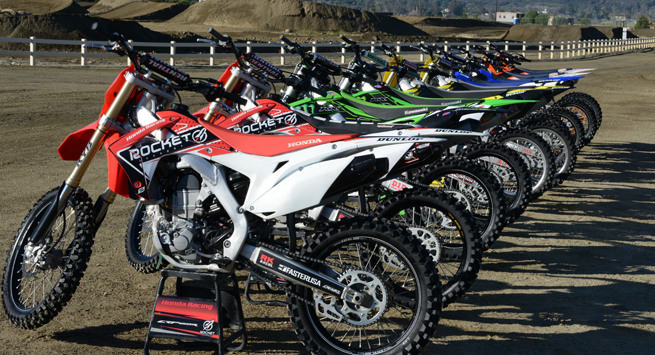 At Race SoCal we have a selection of the popular 4 stroke and 2 stroke models from all manufacturers for you to choose from. 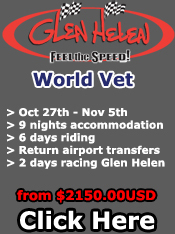 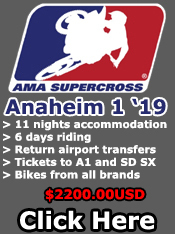 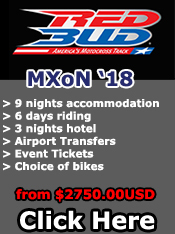 Each rider is allocated a bike for the week so there is no need to share but if you wish to share with your friends and other customers we do not mind. 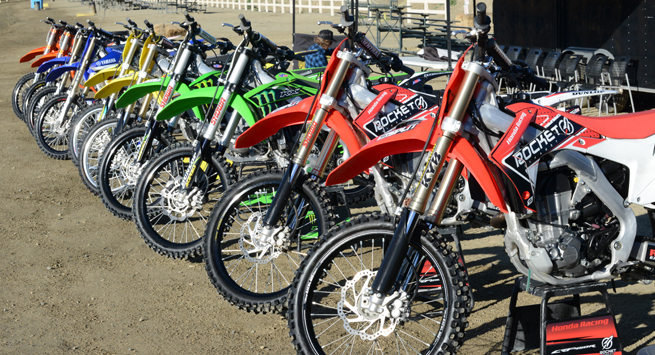 All bikes are maintained by our staff in the workshop at the ranch. 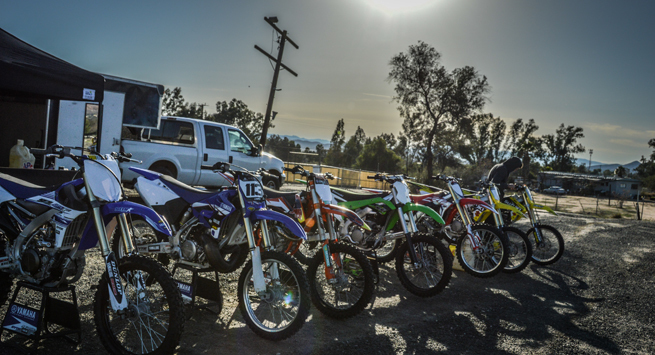 We rotate the bikes every year to make sure our customers riding experience is the best it can be. 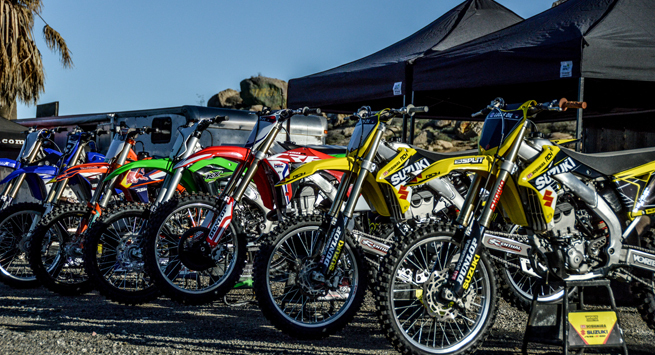 Please view photos of our bikes and pit set up below.